Bottega Ghianda Furniture Discover the fine craftsmanship of the cabinetmakers of Bottega Ghianda, working live during Homo Faber. 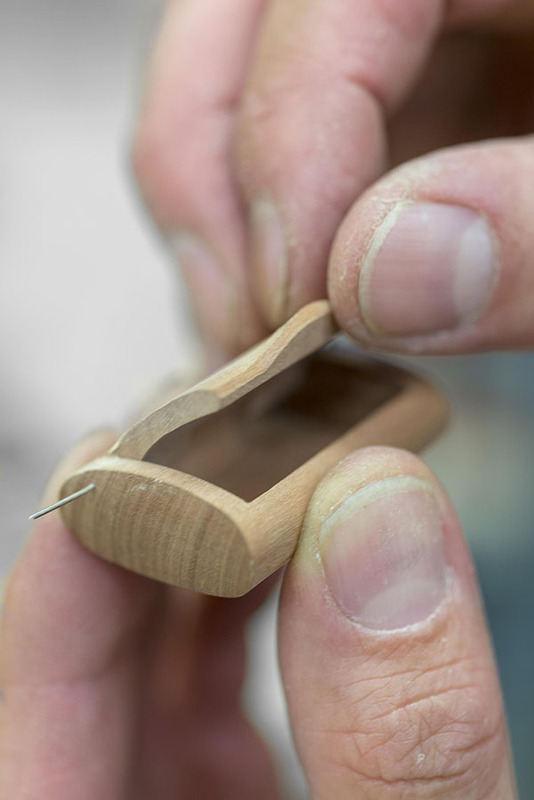 Leaving their usual workshop, five master artisans will be demonstrating the techniques used to create fine furniture. Discover first-hand the methods used to create intricate marquetry and complex joining, and how the natural colours and patterns of wood are emphasised through polishing work. The meticulously finished creations of Bottega Ghianda are the result of a proud heritage of cabinetmaking, or ebanisteria. Irreplaceable skills have been handed down from master to apprentice for many generations. Romeo Sozzi, a passionate cabinetmaker and designer, bought the workshop from Pierluigi Ghianda shortly before he passed away. By taking it over in 2015 without any gap in the workshop’s production, Romeo Sozzi was able to ensure the continuity of this knowledge by continuing to work with the master artisans trained by Pierluigi Ghianda himself. The workshop’s proud heritage of technical knowledge and design has been complemented in its contemporary approach by its new artistic director, Michele De Lucchi. For centuries, Bottega Ghianda has been at the forefront of technical tradition and innovation within cabinetmaking, known in Italy as ebanisteria. Since its foundation, the workshop has established itself as a benchmark and reference point for manual skills. The master artisans working in Bottega Ghianda’s workshop patiently work with a variety of woods, mastering the multiple intricacies that each species presents. Technical solutions needed to realise the most complicated designs, big and small, are conceived and created in the workshop. Thanks to the manual skills of the master cabinetmakers working in Bottega Ghianda’s workshops, iconic names in the fields of architecture, design and art entrust Bottega Ghianda with their projects.